When cruising through your Twitter timeline, you undoubtedly run across a few Amazon links here and there. Before today, you would need to follow the links to Amazon to add these items to your cart for purchase, which could end up being a tricky process for a few users. Amazon announced a new feature today, Amazon Cart, putting these days well behind us. 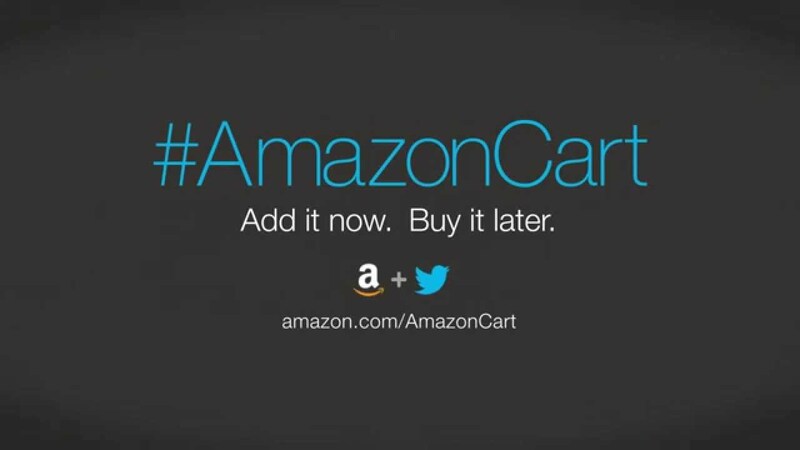 Starting now, when users come across a product link on Twitter to Amazon for an item they need to have, simply reply to the tweet with the hashtag, “#AmazonCart” – when tweeted, the product is then added to your Amazon cart for the next time you are ready to check out and buy your goods through the app or website. From what Amazon previews in the video above, it seems like a really neat way of combining the two platforms. Although, please keep in mind that your tweets (unless your account is private) are publicly viewable by anyone. This means you should be mindful of certain items you choose to add to your cart. Just a friendly heads up. You can manage all of your social sharing settings right from Amazon, so if you are ready to start shopping through Twitter, have at it.